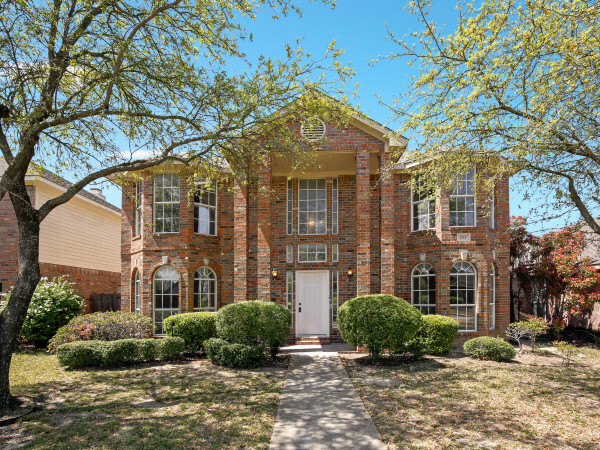 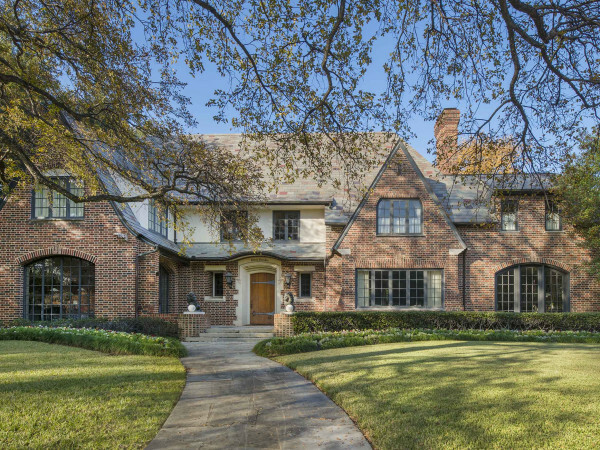 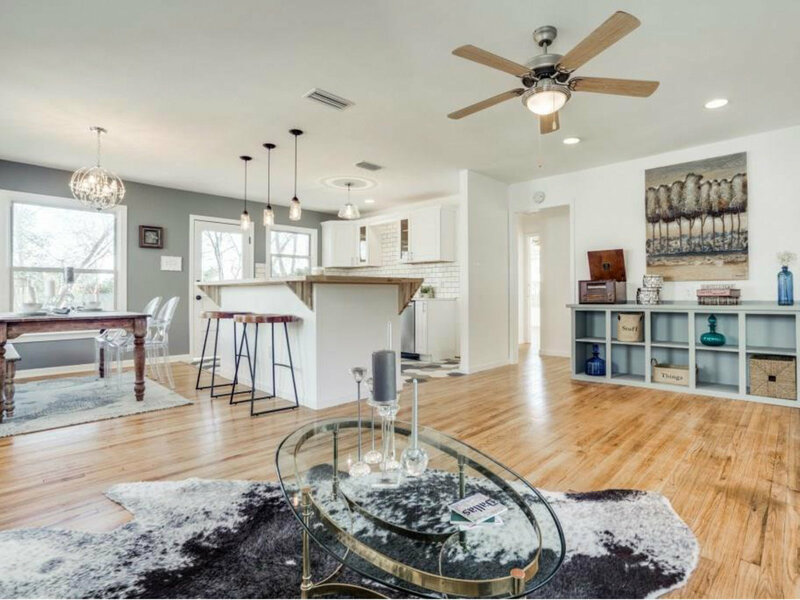 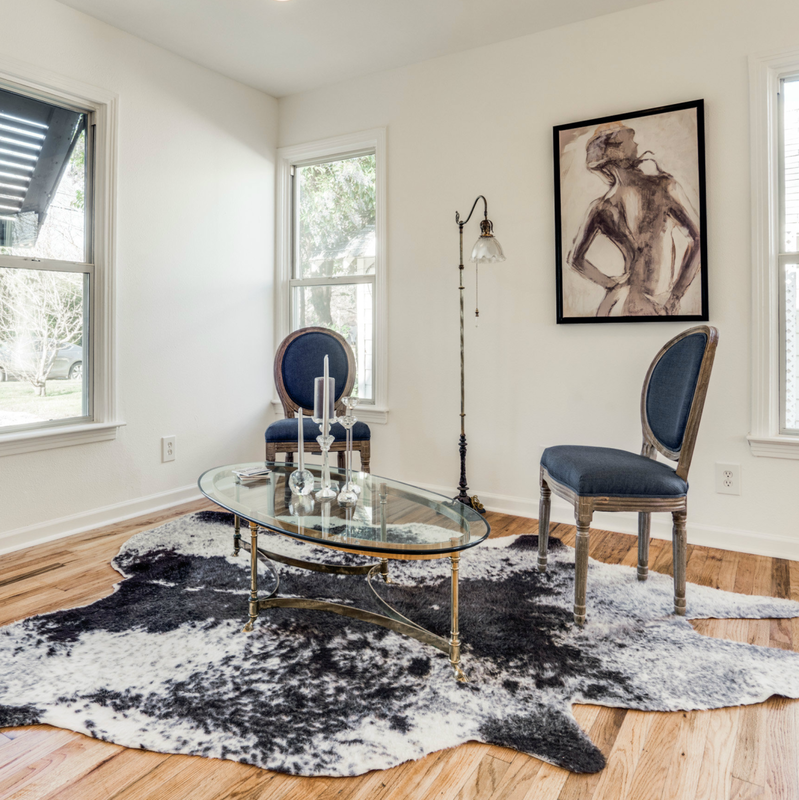 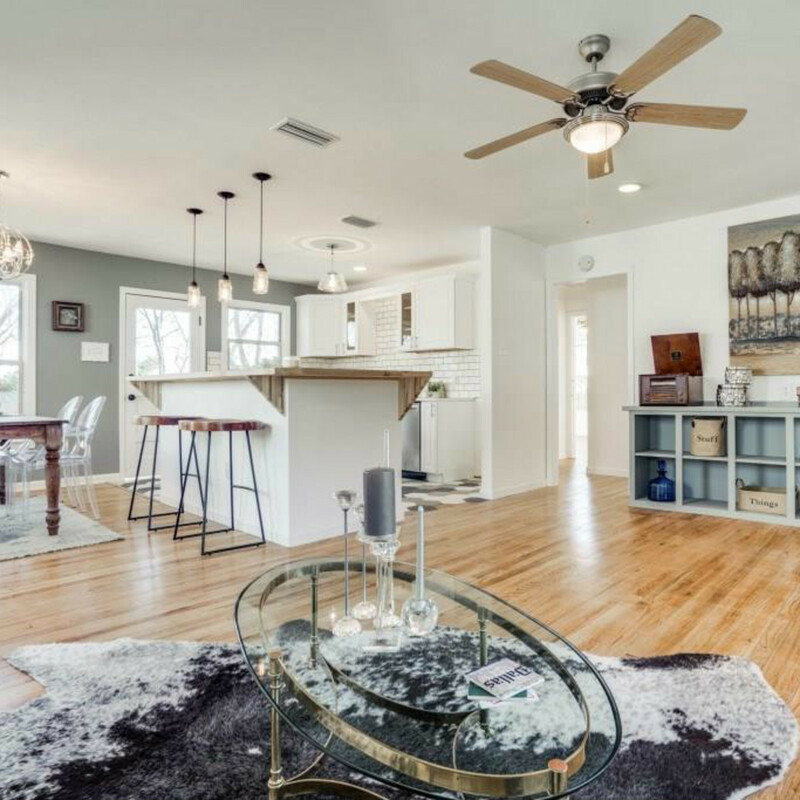 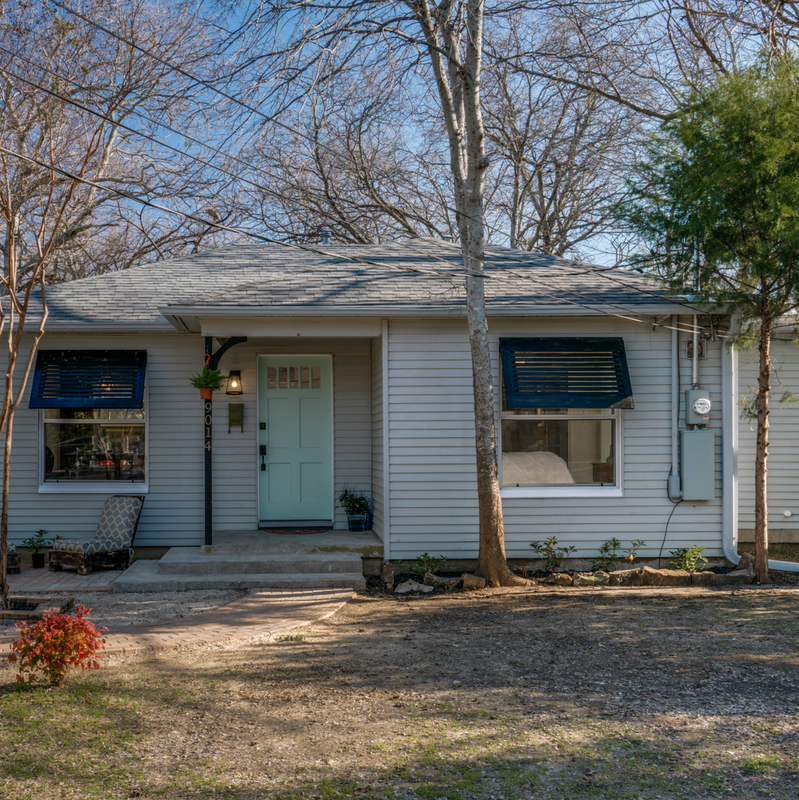 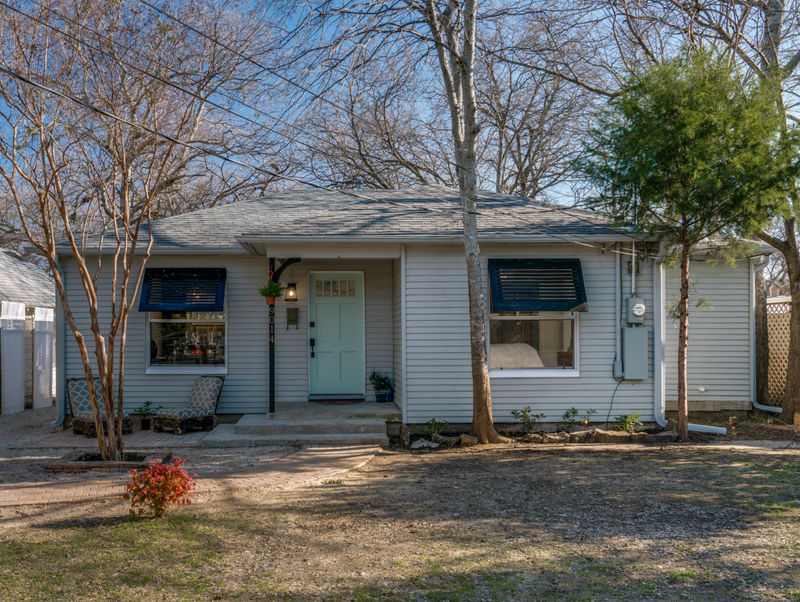 9014 Daytonia Ave. Dallas' Little Forest Hill is currently listed for $283,000. 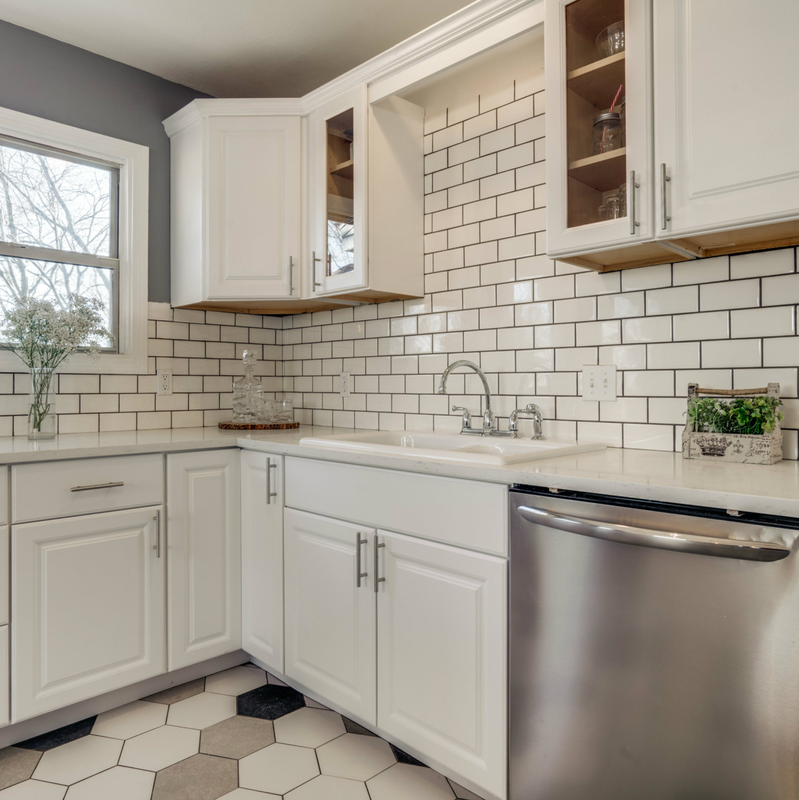 The kitchen features stainless steel appliances, subway tiles, and quartz countertops. 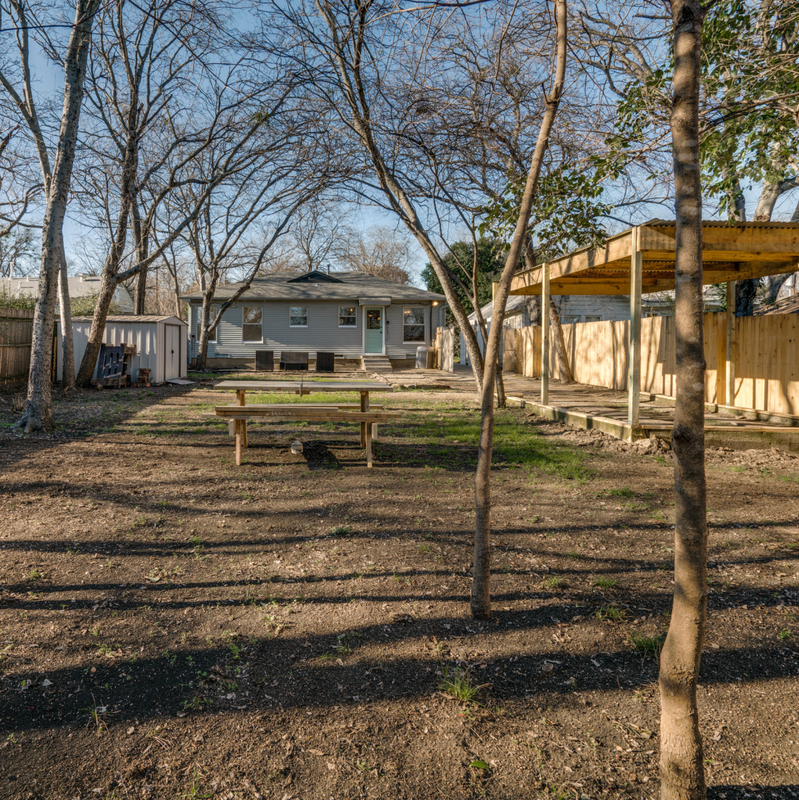 In Dallas, we are trained that bigger is better. 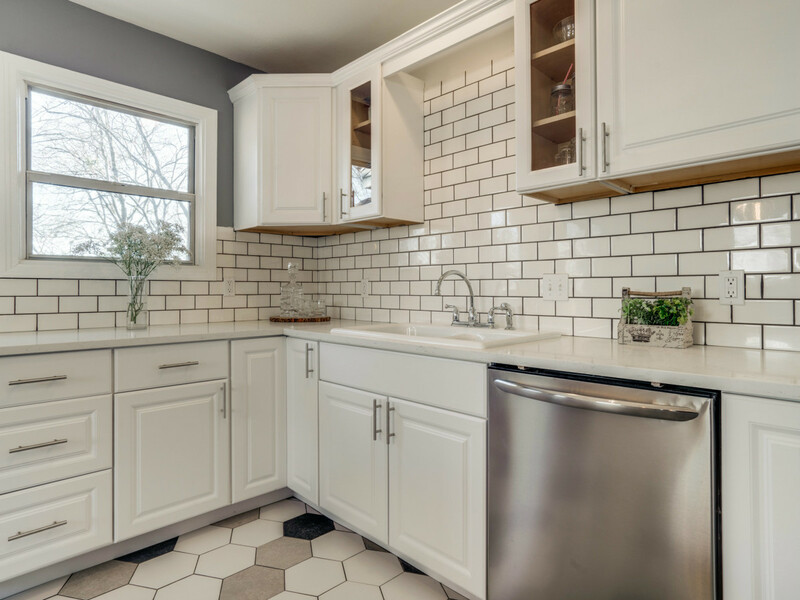 But that’s not the case with this 987-square-foot cottage in the Little Forest Hills neighborhood. 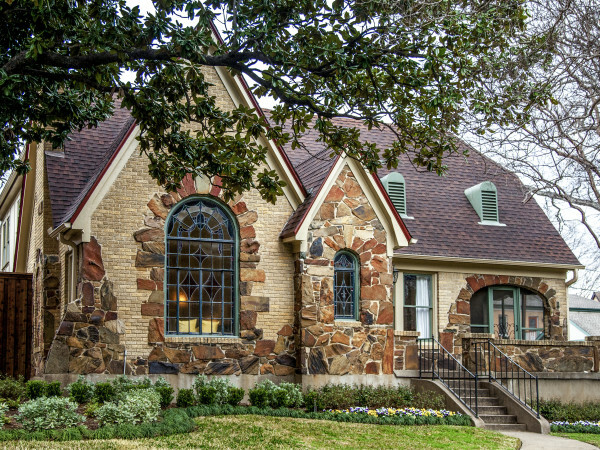 Although it’s located just moments from downtown Dallas, it feels miles away. 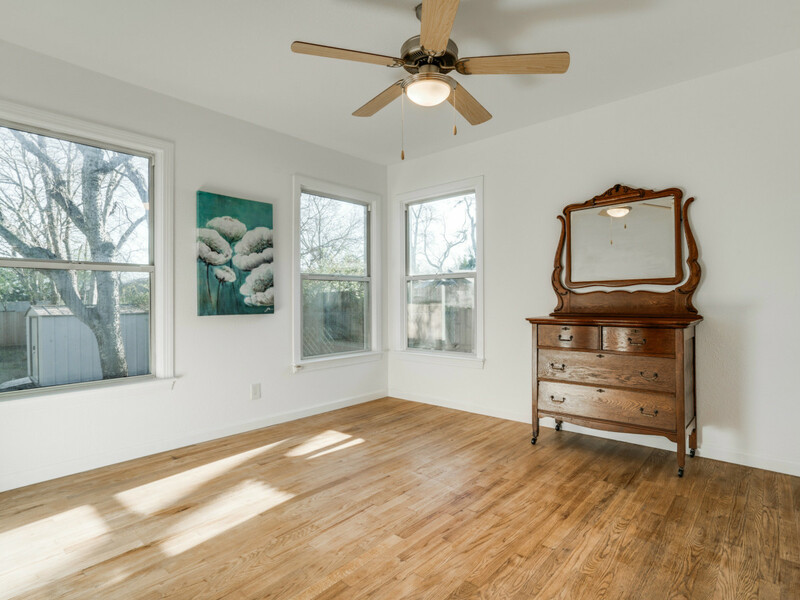 The home at 9014 Daytonia Ave., in proximity to White Rock Lake, has been renovated in all the right ways by Kristen Martin, a real estate agent and self-proclaimed “house rehabber.” She says the neighborhood saved her, as she discovered Little Forest Hills at a time in her life when she was unsure of just about everything. 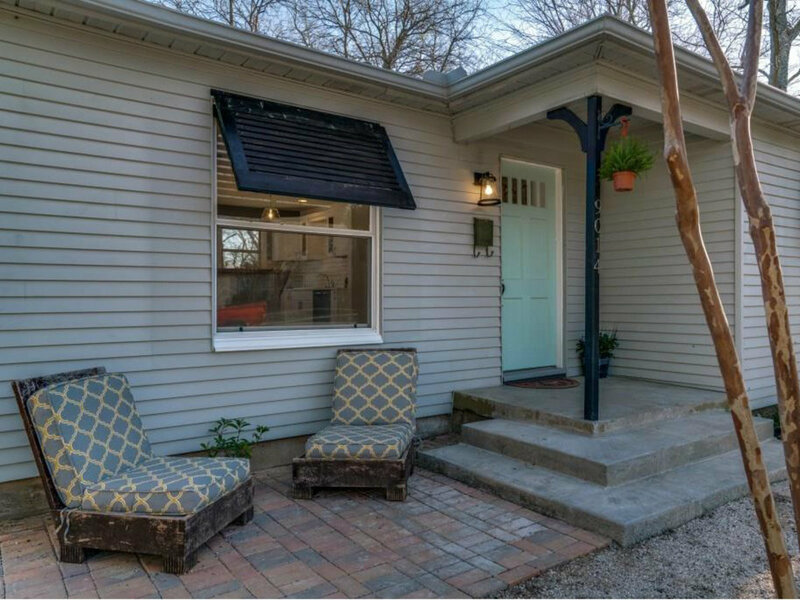 When she first drove into the area, a calm came over her, and rain began to fall as she asked for a sign about where to move to start the next chapter of her life. 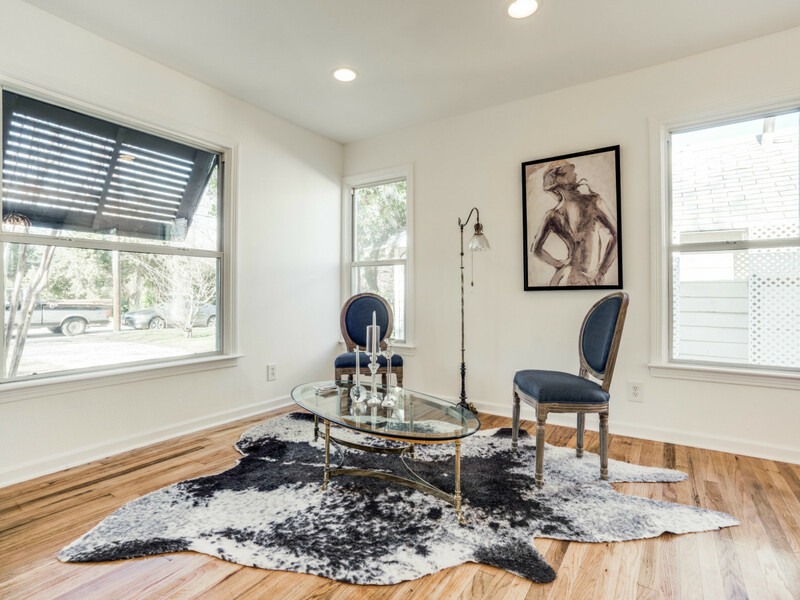 In her latest project — which honors the desire by many to keep Little Forest Hills little — you immediately notice the original hardwoods and abundant natural light. 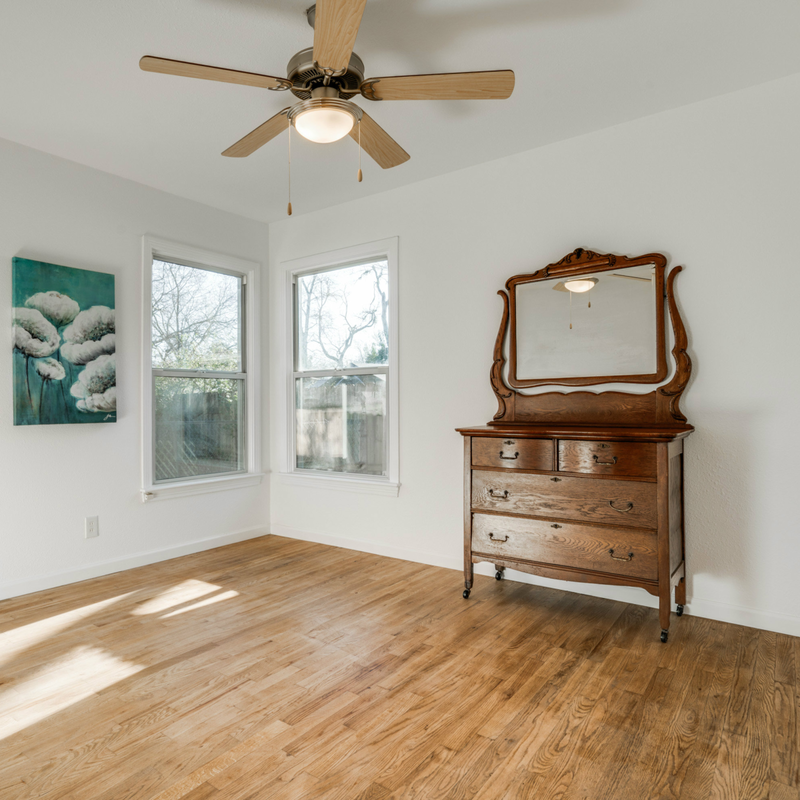 The floorplan is open, which is key in making this small property feel bigger. 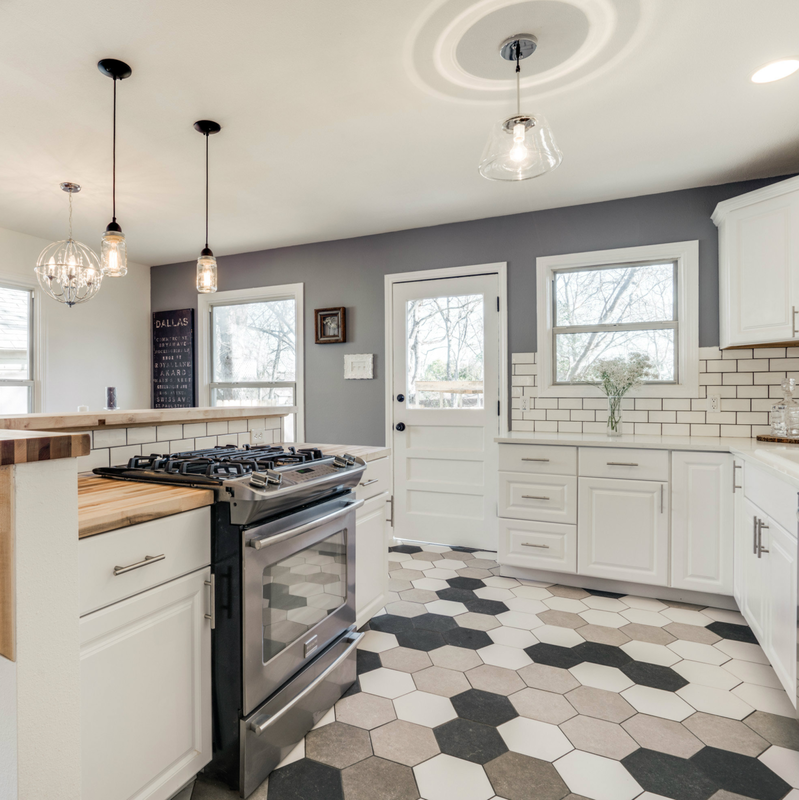 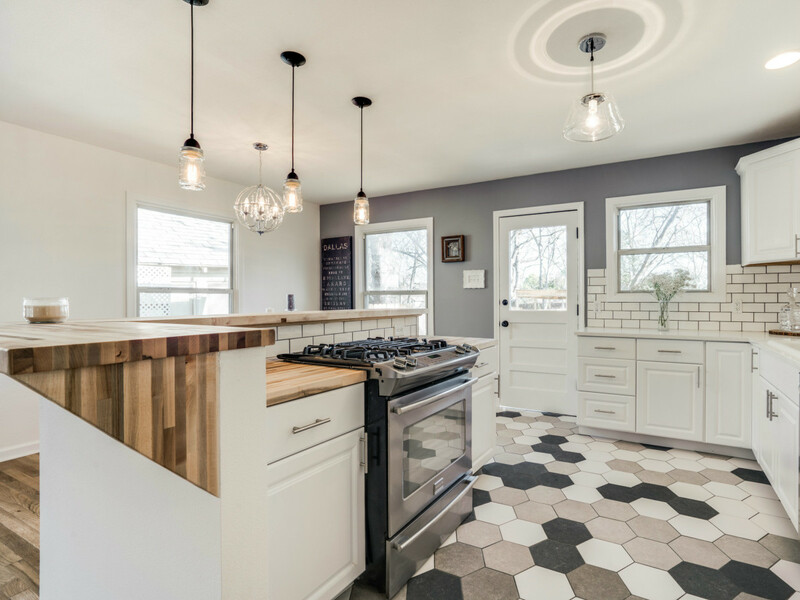 The kitchen, appropriate for the home’s cottage style, features contrasting quartz and butcher block countertops, mason jar light fixtures, hexagonal tile floor in shades of white and gray, and white subway tile backsplash with contrasting gray grout. 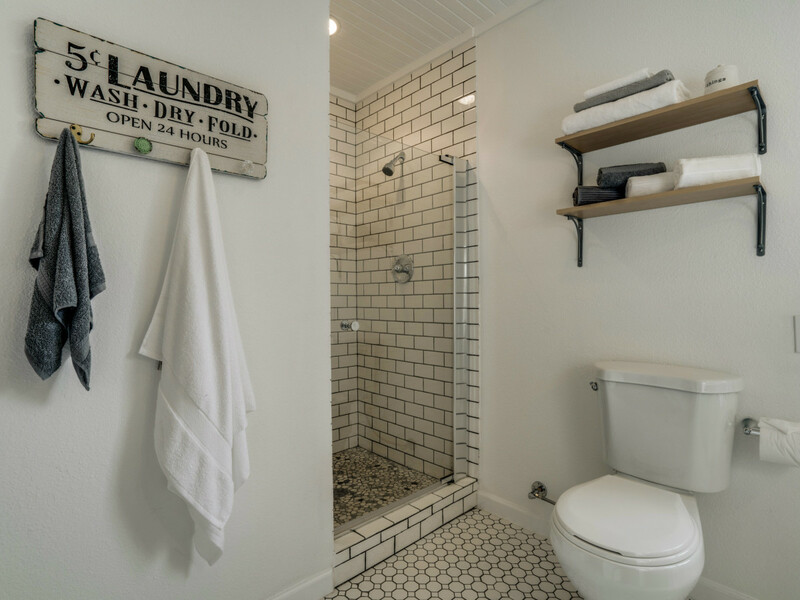 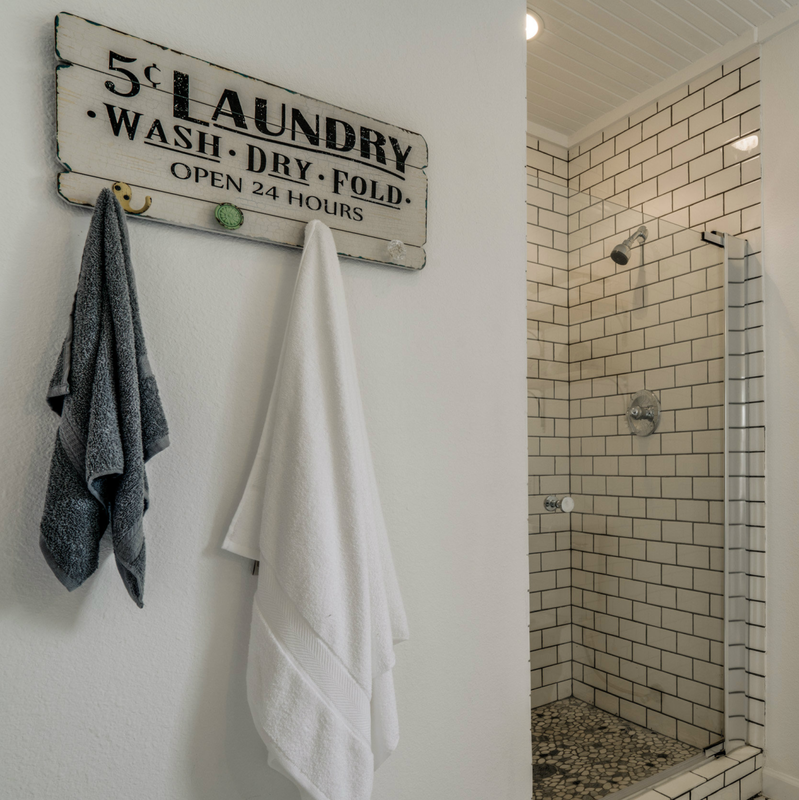 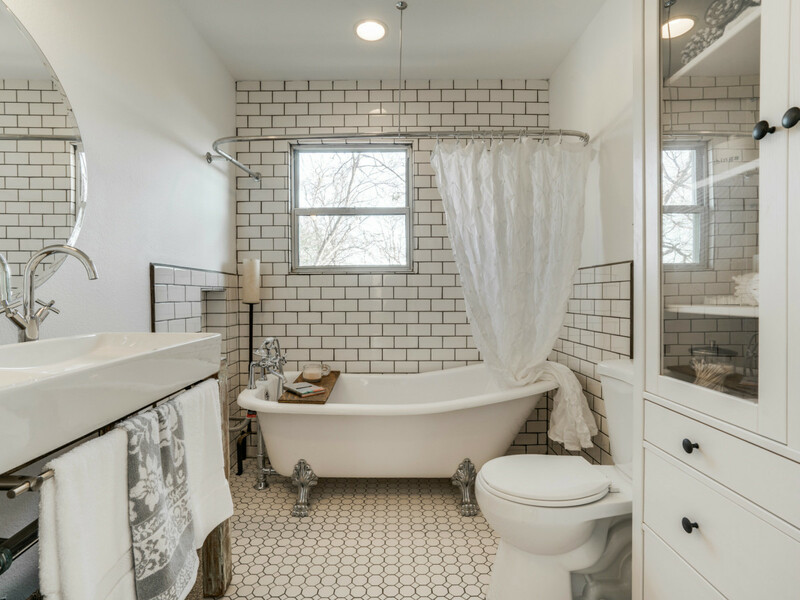 Martin uses that subway tile to great effect in both bathrooms too. 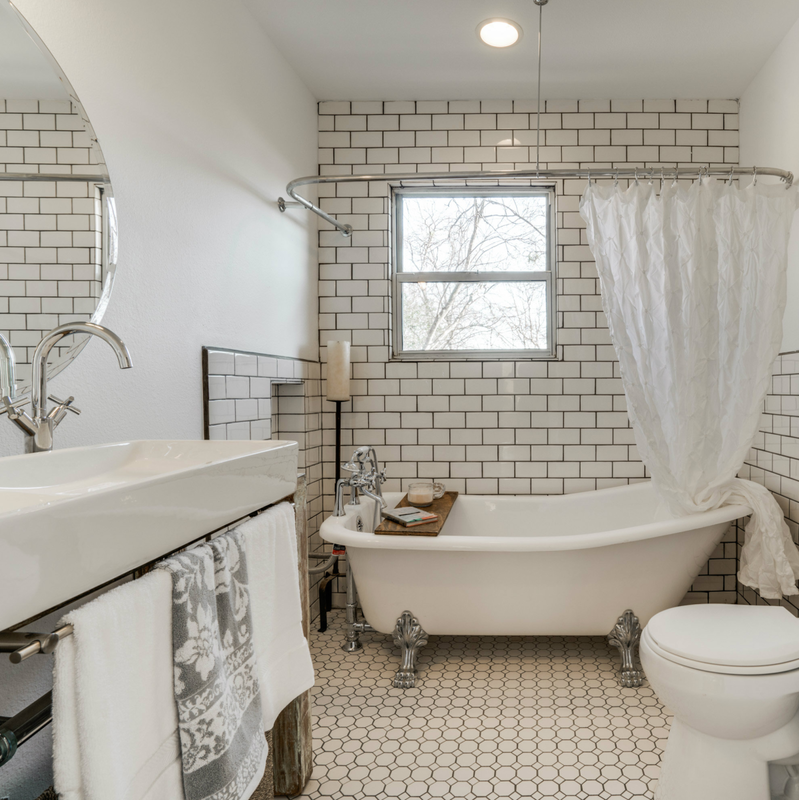 Speaking of the bathrooms, one holds a luxurious clawfoot tub and a wood table repurposed as a vanity with vessel sink. 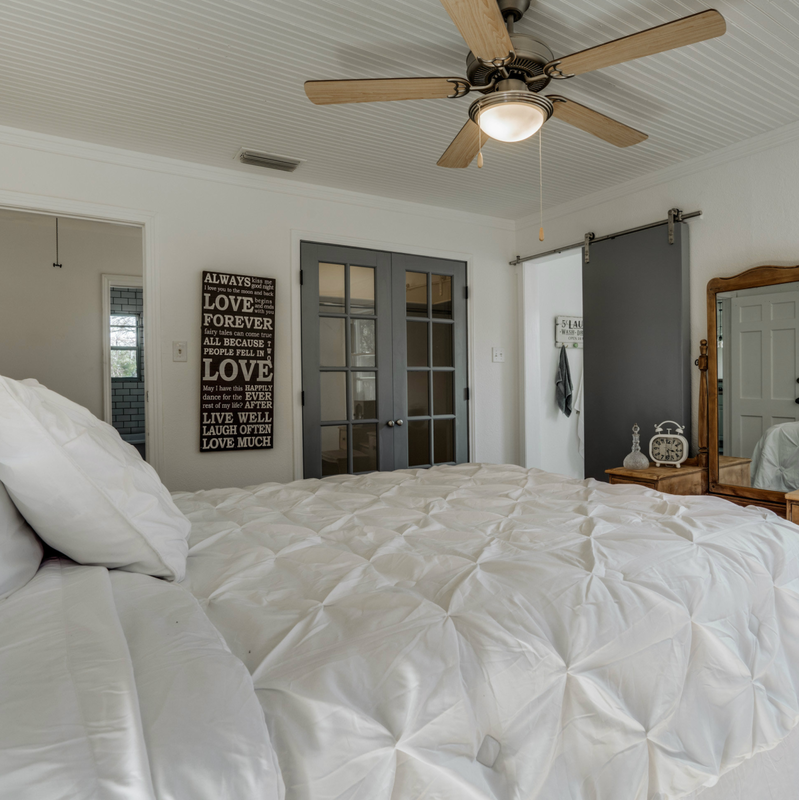 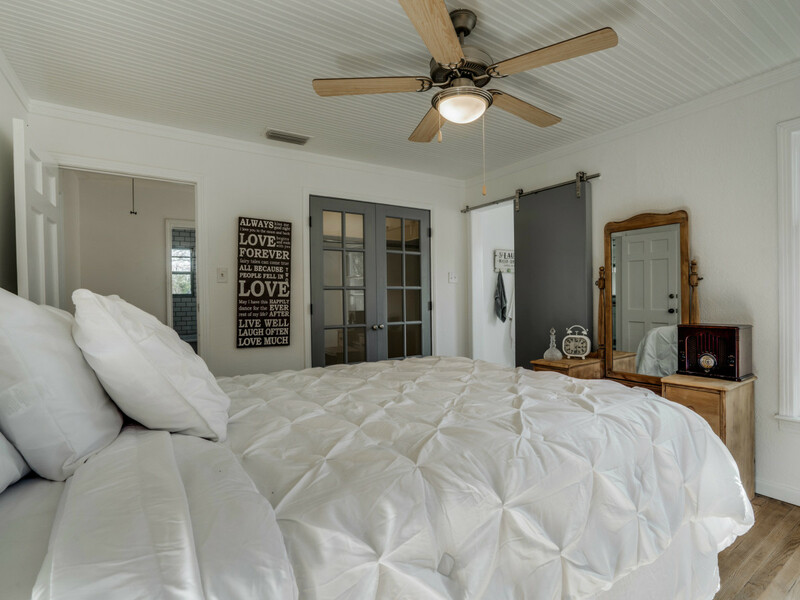 The other, also masterfully updated, hides behind a sliding barn door in the master. 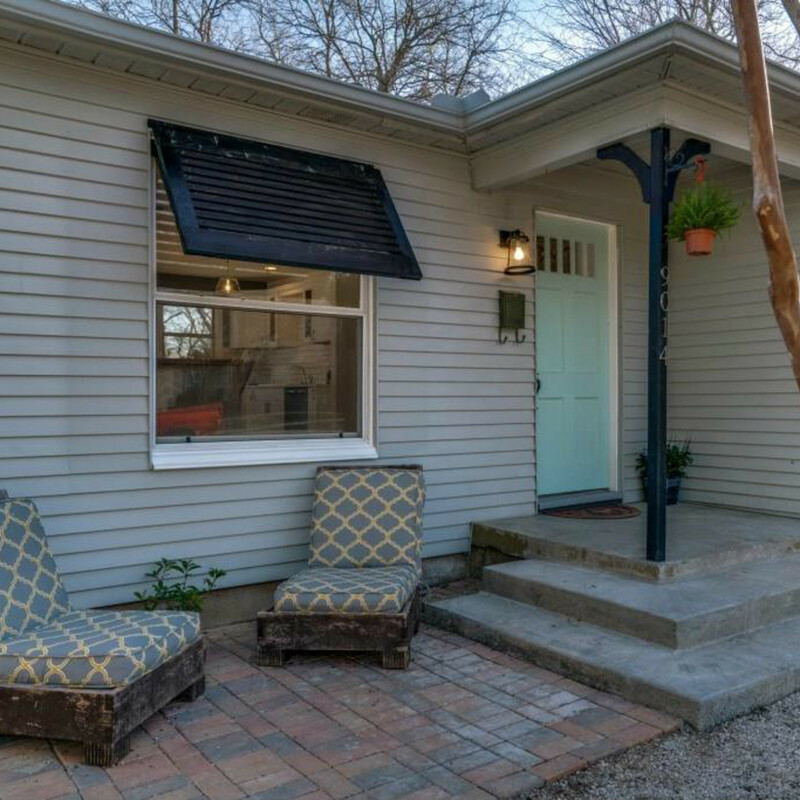 Unexpected for this humble abode are the spacious grounds. 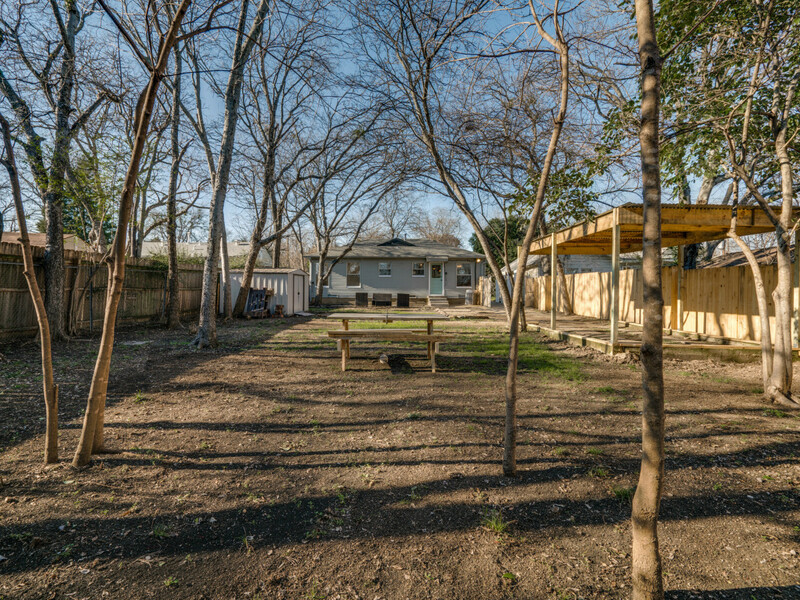 A backyard oasis like this one may be considered priceless to some, but it does have a price on it — $283,000 — and the house already is under contract.